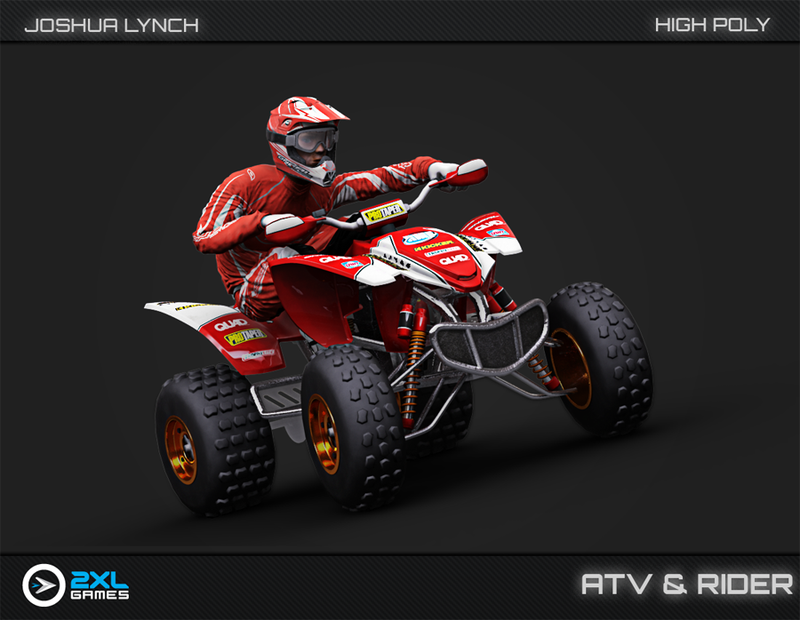 During the production of 2XL ATV Offroad there was a call for marketing assets. 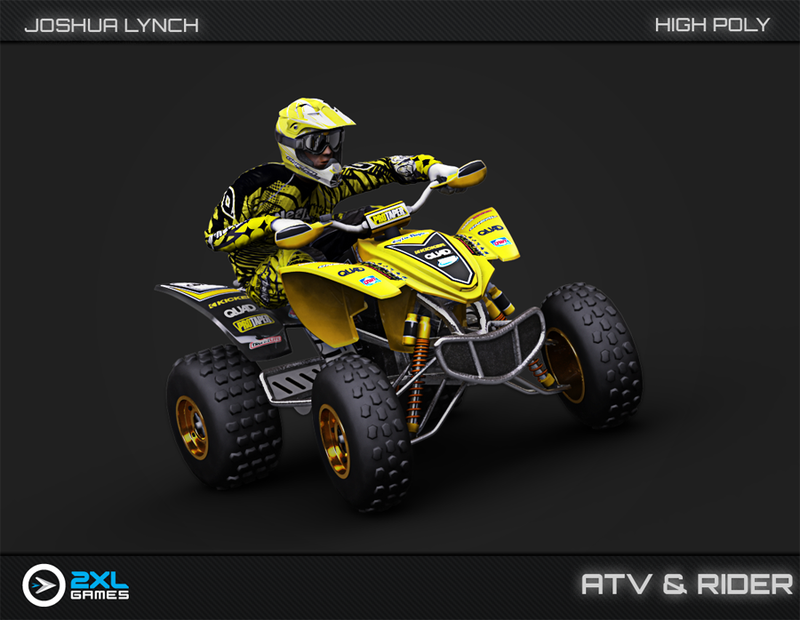 I was tasked with creating 2 versions of the ATV, IPhone and High Poly for marketing renders. As well, I was tasked with character brand texturing on both the high and low poly versions of the character. We received clothing sheets from O’Neal and I transferred these designs onto the characters. Below are two renders that feature these two assets. Character modeling, sculpting, texture baking, and scene rendering by Greg McDonald.